Facing the Nakba, a Jewish Voice for Peace project offers educational resources to American Jews and a general American audience about the history of the Nakba and its implications in Palestine/Israel today. Today on May 15th, the day Palestinians commemorate their displacement during the founding of the state of Israel, we’re posting a pair of articles, one by Lubnah Shomali from Palestinian refugee rights organization Badil, and one from Rabbi Alissa Wise about the need for American Jews to face the Nakba. The reality is that this is the 68th year of the Palestinian Nakba. The reality is that the Palestinian displaced population is the largest and longest-standing displaced population in the world today, numbering almost 8 million. The reality is that 66 percent of the Palestinian population has experienced forced displacement at least once in their lifetime. The reality is that Palestinians continue to be displaced by an Israeli regime based on forcible transfer, colonization and apartheid. The reality is that forcible transfer, colonization and apartheid are international crimes that trigger the legal and ethical responsibility the global community. The reality is that Palestinian refugees do not receive the required humanitarian aid and services in accordance with international law. The reality is the that the special protection framework created by the United Nations to ensure the protection of Palestinian refugees has resulted in the exact opposite: a protection gap. The reality is that many Palestinian refugees have experienced a secondary displacement and are subject to an even greater protection gap. The reality is that Israel continues to enjoy blanket impunity for its human rights violations, grave breaches of international law and crimes. The reality is that 43 out of 77 vetoes have been issued by the United States on behalf of Israel in the United Nations Security Council. The reality is the United States government provides Israel with 3.1 Billion USD per year in military aid, that is roughly 10.2 Million per day. The reality is that the Secretary General of the United Nations and other UN agencies acknowledged that Israeli policies create a coercive environment that leads to forcible transfer. The reality is that forcible transfer is a grave breach of international law; in other words it is a war crime and/or a crime against humanity. The reality is that Israel is guilty of committing war crimes and crimes against humanity. The reality is that international community, in particular powerful western States, not only lack the political will to hold Israel accountable, but also provide Israel with blanket impunity and assistance. The reality is that States are obligated under international law to protect Palestinians, to condemn Israel’s actions, to stop rendering aid to Israel and to investigate and prosecute perpetrators. The reality is that the international community (states, the UN and the EU) has failed to fulfill its obligations towards the Palestinian people. The reality is that Israel continues to deny Palestinians their inalienable rights, in particular the right to self-determination and the right of Palestinian refugees and IDPs to return to their places of origin. The reality is that Palestinian refugees and IDPs’ right to return is unalienable and firmly enshrined in international law. The reality is that history has proven that colonial, apartheid regimes are unsustainable. The reality is that Boycott, Divestment and Sanctions (BDS) is a legitimate form of non-armed resistance. The reality is that BDS is a pathway to ensure respect of international law, particularly equality, the right to self-determination and Palestinian refugees and IDPs’ right to return. On this, the 68th year of the Nakba, its time to face the reality. Lubnah Shomali is the administrative and financial affairs manager for Badil Resource Center for Palestinian Residency and Refugee Rights, based in Bethlehem. “How do you say Nakba in Hebrew?” That’s the title of Jewish-Israeli NGO Zochrot’s groundbreaking curriculum, which invites Jewish Israelis to visualize the Nakba (“Catastrophe” in Arabic) within Israeli geography and society. The Nakba refers to the forced displacement of Palestinians that began with Israel’s establishment, and that continues to this day. As an educator and organizer, I have seen how acknowledgment of the Nakba can deepen discussions of the history of Palestine, Israel, and the occupation. Inspired by Zochrot’s curriculum, in 2010 a small group of American Jewish activists, organizers and educators came together, now called Facing the Nakba: A project of Jewish Voice for Peace, to do a “cultural translation,” adaptation and a reimagining of the Zochrot curriculum for American Jews and a general American audience. 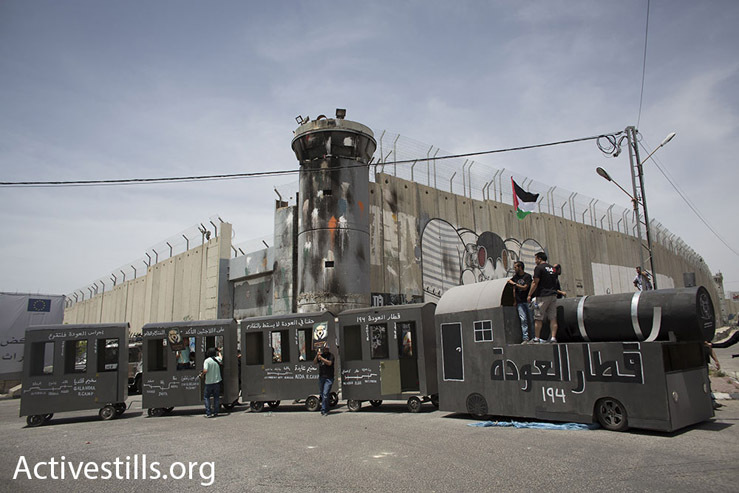 The Facing the Nakba curriculum is a seven session deep dive into the history of the Nakba, the Right of Return, and the legacy of violence and loss that continues to shape Palestine/Israel today. As we now enter the 69th year of Palestinians’ forced displacement from, and within, their ancestral homeland, Israel continues to create intolerable living conditions, which further swell the number of displaced Palestinians. At the same time, U.S. Jews, from campuses to synagogues, are increasingly questioning the actions of Israel and wanting to understand more about Palestinian history and current realities. The truth is that many American Jews who have visited Israel multiple times, studied in American Jewish educational institutions, and who see themselves as fluent on the region might not be able to explain what the Nakba is or its significance to Palestinian people worldwide, let alone its centrality in reaching a just peace for Israelis and Palestinians. That’s where Facing the Nakba comes in. When we came together to work on developing these educational materials we agreed on a few guiding principles. First, we believe that it is the responsibility of American Jews to know the history of the Nakba and to make that history visible in our communities. Though we are currently seeing a generational shift in this regard, many American Jews were taught at Hebrew schools a myth that Israel was the “land without a people for a people without a land.” As many of us come to learn and realize the violent reality of this fiction, we see that the displacement of 750,000 Palestinians at Israel’s founding, and the dispossession that continues to this day, is at the heart of the problem. With this awareness, we become more prepared for meaningful activism, and more moved to urge the US government to press for genuine justice for Palestinians. Facing the Nakba and the rights of Palestinian refugees is a necessary step towards a just and lasting peace. Second, we see our role as American Jews as supporting and amplifying Palestinian voices and experiences, not taking ownership over the Palestinian struggle for liberation. In developing our curriculum, we rely on fundamental work produced by Palestinian researchers and organizers and highlight their voices in our curriculum. 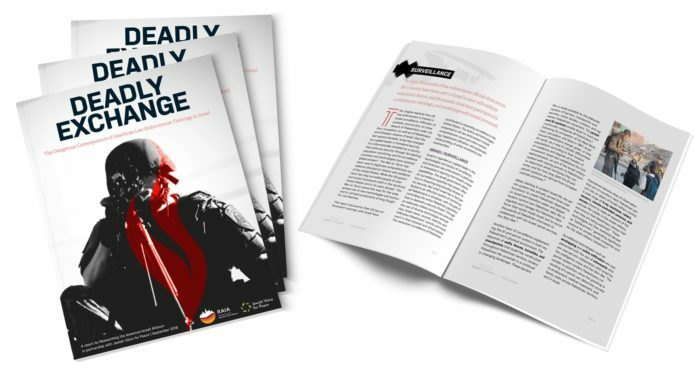 Our materials draw from articles, organizations, videos, testimonies, and other Palestinian sources, including the important work of Palestinian refugee rights organization BADIL, and various independent documentary archives. Our curriculum encourages participants to study the Palestinian call for the right of return and the visionary work happening in Palestine, in the diaspora, and within Israel to visualize return. As we mark Nakba Day (May 15) for the 68th time, I hope more American Jewish communities incorporate study of and commemoration of the Nakba into part of their communal rhythm, and be open to where that might take them. In our pilot sessions of the curriculum in various settings we’ve seen over and over again that it is hard for even progressive American Jews to destabilize the narratives they learned about Israel and confront the violence of the Nakba, but it is essential if we are serious about ensuring Palestinian human rights and a lasting just peace. Unfortunately many in the American Jewish institutional world are actively refusing to allow study of the Nakba to take place. In fact, just this week, under pressure from Hillel International,the Brown University Hillel canceled a student-organized film screening of short films about the Nakba from Zochrot just 24 hours before it was scheduled to take place. This decision speaks volumes on how much work lies ahead of us, and the importance of facing the Nakba. The students held the event in the Hillel anyway, and 70 students showed up.. Part of what inspired us to come together on this project is the belief that popular education is a radical act. As our curriculum makes its way into synagogues, homes, community and educational centers, and one day even Hillels, I hope it will lead American Jews toward respect and recognition for Palestinian refugees and their descendents. I trust that it will. After all, we know from the history of social change that organizing for justice and equality can move mountains, even though we might not be able to imagine the possibilities beforehand. Rabbi Alissa Wise is Deputy Director of Jewish Voice for Peace and co-founder of Facing the Nakba.